Time: 10 a.m. till 10 p.m.
Organised by Exito Events, Pink n' Hazel (An Exclusive Fashion Fiesta) offers a rare opportunity to get designer wear for women, accessories and items for home décor all under one roof. Participants will include Zaria's Almario (Sadia Kamal), Ibadaah, B Matro, Blue and Tulimati. Time: 7.30 p.m. till 11 p.m. Enjoy Dhaka's young bands cover English numbers, unplugged, at the finest roof top restaurant "Platinum Terrace." Live music and a wonderful environment under the open sky will surely make this event a memorable one. If you find yourself without any plans on Friday, get all your friends and enjoy a musical night. Buffet dinner will feature international cuisine and ticket price is Tk.950 (all inclusive). Time: 11 a.m. till 7 p.m.
IIUPE was established as a medium through which promising artists could get a platform to showcase their skills and creativity to the world. IIUPE not only brings out the hidden talent in people and showcases it, but at the same time, establishes a network between all photography enthusiasts both professional and amateur, giving them a chance to interact. After seven years of constant success, this year's IIUPE is going to be organised for the eight time with the slogan "Many Nations, One Language, Photography." Time: 4 p.m. till 8 p.m.
Venue: House #4, Road #10, Sector #1, Flat #A3, Uttara. Seductive, variable and elegant, Diva's beautifully crafted jewellery resonate the spirit of being a next generation women. All Diva ornaments are made up of mixed silver, American diamonds, synthetic ruby-emeralds stones and semi precious stones with gold and platinum colour micron plating. This event will give you a wonderful opportunity to have a first hand experience of the designs of Diva and take home your pick of ornate jewellery. Time: 11 a.m. till 8 p.m.
Eid Fiesta Reloaded is the last fair before Eid ul Adha 2012. It is a platform for Facebook-based brands that are looking to promote their products in public events. Reloaded is bringing you a dedicated event at Drik Gallery, Dhanmondi from 21 to 23 October, 2012 where you can promote and sell the products of your own brand. Be there either to showcase your design or to collect your own piece. The Westin Dhaka is celebrating the delights of authentic Spanish cuisine for Dhaka's food lovers. In association with the Spanish Embassy and Roca, Westin's weeklong Spanish Food Festival will continue till 19 October at their Seasonal Taste restaurant. The variety and quality of cuisine is ensured as Chef El Lebrillo from Spain will preside over the kitchen as guest chef. The festival brings under one roof the different flavours and tastes of authentic yet modern cuisines from various regions of the European country. Enjoy a dinner with friends and family and experience the unforgettable taste of Spanish culinary heritage. 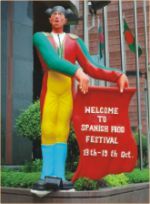 The Spanish Food Festival is open only for dinner. For more information and reservations, please call 9891988. In this era of mass production, it takes a lot of effort and talent to stand out from the crowd. Ethereal is one such initiative that has proven to be more than just another Facebook business entity. It is an online store that specialises in making clutches that are classy yet subdued and sophisticated. 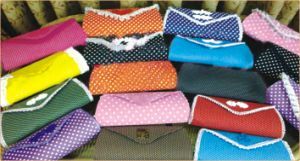 Its elegant and funky designs are definitely one of a kind, diverse from our general perception of traditional clutches. From elegant, gorgeous party clutches with shimmering embellishments and stonework, to polka-dotted ones with frilly laces and cutesy buttons, you name it and they have it. Perky, popping colours like magenta, pink, orange, turquoise and blue are emphasised in the collections. One can also customise the order by choosing various elements from different collections and bringing them together. For example, you can mix and match fabrics, accessories and embellishments from different albums, make your own design and place a customised order clearly specifying your idea. Ethereal started as a hobby but has become much bigger than what was expected initially. They have big plans in store for the future. and have received an offer to showcase their products at an outlet in Uttara. This will act as their physical store till they open one of their own. To check out their clutches yourself, visit their facebook page: https://www.facebook.com/ethereal.bd. You can place an order by simply filling up the order form as mentioned in their info section. Recently, Eastern Bank Ltd. and Shirt Gallery signed a memorandum of understanding that will allow all holders of EBL credit/debit cards to avail a 10-15 per cent discount on all purchases. The offer is valid till Eid ul Adha. Shirt Gallery also offers a be-spoke service, where check and stripe shirts can be customised according to the buyer's requirements. Contact: B S Bhaban, Elephant Road; Pink City, Gulshan. #0171 717 3236. Your wedding day is the day when you want everything to look picture perfect, including you. The struggle starts long before, from buying the wedding trousseau to decorating the stage. But perhaps the most crucial moment comes on the day itself -- your bridal make-up. Farzana Shakil provides the perfect solution for you. 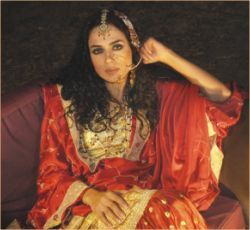 Farzana Shakil's Makeover Salon is going to offer a bridal package from November 1, 2012 to January 31, 2013. The package is flexible, offering a wide variety of services for different tastes and budgets. The package offers include numerous free services for brides and their friends and families, such as "free pre & post bridal services" and free make-up for accompanying people. Call 9116057 or 8812215 for more. Japan's highly acclaimed ASTALIFT, the crown jewel of Japanese Multinational Company, FUJIFILM Corporation made its debut in Bangladesh on 31 March 2012. ASTALIFT held a raffle draw on 30 September 2012 where the Top 10 winners won lottery coupons. The 1st prize was an iPhone 4, the 2nd prize was a laptop, the 3rd prize a FUJIFILM Finepix S2980 and many more attractive gifts were given to the winners of the raffle draw. The raffle draw prize-giving ceremony was based on the company's sales during their Ramadan campaign. The Chairman of ASTALIFT Bangladesh, Dr. Farhana Monem was present along with the AGM Business Development Akmal Siddiquee and the Brand Manager Ahmed Nafiz Naihan at the event to give away the prizes to the respective winners of the raffle draw. Assistant Manager Shifat Naomi gave a presentation and product demonstration on ASTALIFT products. One of the highlights of the event was the stand-up comedy by Muhammad Solaiman Shukhon. The chicken has gotten older and wiser. Nando's has completed five years of “grilling chicks”, as they say. The franchise celebrated the occasion with a live concert, free gifts and generous treats. 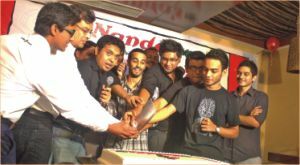 The birthday celebration took place on 8th October, at Nando's Gulshan 1 outlet. The entire 2nd floor of the outlet was turned into a party place. Popular band Nemesis took the stage by fire while another band, Shade, pulled off some stunning numbers, entertaining hundreds of guests. It was Nemesis's first show after they had made changes to the band line-up. Amidst all that, the birthday cake was cut with a huge butcher's knife, owing to the frantic obsession they have for chicken! Since it was Nando's birthday, Nando's gave away opportunities to get free treats and also gifted one lucky guest an iPad, picked up via lottery from the vouchers of people who participated in the Peri Series campaign that Nando's held during the T20 World Cup. The whole place, therefore, was buzzing with hundreds of guests, with celebration in the air. The Afro Portuguese restaurant chain has been serving their unique flavoured Peri Peri chicken for 5 years now. And people do not seem to get tired of eating it! Since independence, fashion photography has played a vital role in the development of the fashion industry in Bangladesh. As recognition to the services rendered by photographers, International Institute of Fashion Design (INIFD) has arranged “Dhaka Fashion Photography Festival 2012”, where works by 12 leading photographers of this sector will be showcased. The exhibition was inaugurated by noted artist Ferdausi Priyobhashini and will continue till 20 October (10.30 a.m. to 6 p.m.) at the INIFD Campus, 41 Kamal Ataturk Avenue, Dhaka. You have always wanted to find a special gift for your loved ones but it's quite difficult to find one when the gift is for someone's birthday. Books, cards and flowers have always been special but you really want to diversify. The next popular gift that comes to mind are coffee mugs, though they are not produced with much variation, until now, that is. 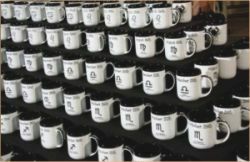 Sadakalo has recently launched its Coffee Mug for 365 days of the year with each individual date printed. So, you can give your special person the birthday mug for his/her own birth date and make the birthday very special. You need not worry if the birthday is on the 29th February; you can get that mug too! The exhibition of “365 days' birthday mug” has started from 5 October at Deshidosh Arena, Level-7, Bashundhara City. The exhibition will continue till 20 October. Moreover, you can find the mugs at any branch of Sadakalo. Or just buy one for your own birthday. For the first time in Bangladesh, Otobi presents Groove Technology which is a combination of modern technology with art. 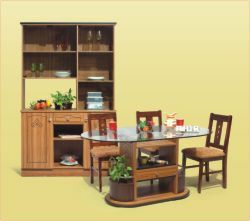 Bedroom and Dinning sets are now available in this new pattern of designs from outlets of Otobi. No two resumes are the same, even if it belongs to the same person. Customise your resume after researching the organisation and the position. Give them stories. Don't just mention where and for how long you have worked, tell them about your performance. Numbers sell: so if you have increased the sales for a certain percentage for example, do mention that. Avoid generic terms like "excellent leadership skills"- these are common and vague and hence not convincing- back them up with facts. Don't play too much with layout; keep it simple and readable. Finally, make sure you proofread several times to avoid embarrassing errors.